Contemporary authors from near and far read from their works and sign books for the public. - Join us for this special kids author event. Ralph Hardy is the author of the new release Argos, the story of Odysseus as told by his loyal dog. The title is published by Harper Collins for middle grade readers. 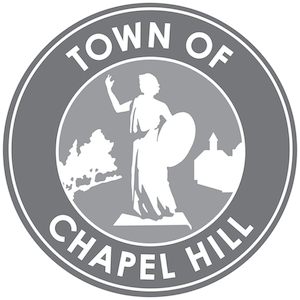 Hardy lives in Chapel Hill with his wife, children and a dog named Harvey, who is nothing like Argos. - Many of you may remember Mark as the Youth and Family librarian with the Australian accent. Since taking a position at the Chatham Community library, he has published his first book, Margarash. It's about a young boy and a seemingly-nasty monster who realize they need each other. - Newbery Medalist Kwame Alexander will read from and sign copies of his new book The Playbook. Alexander is a poet, educator, and New York Times Bestselling author of 21 books - including Booked and The Crossover, which received the 2015 John Newbery Medal and the Coretta Scott King Author Award Honor. The program is free to attend, but the after-program book signing requires a ticket. Tickets for the signing line are acquired by purchasing The Playbook from Flyleaf Books either at the store on MLK Boulevard or online at flyleafbooks.com. The earlier the book is purchased the earlier the position in the signing line. Books will also be available for purchase at the event. Each rule contains wisdom from athletes at the top of their game and exemplars such as Serena Williams, Steph Curry, LeBron James, Kareem Abdul Jabbar, Supreme Court Justice Sonya Sotomayor, Michelle Obama, and Oprah Winfrey. Space for the event is likely to be limited. - Alan Gratz is the New York Times bestselling author of a number of novels for young readers. Many of his books, including, Samurai Shortstop, Something Rotten, and The Brooklyn Nine, have made the American Library Association's Top Ten lists for young readers. 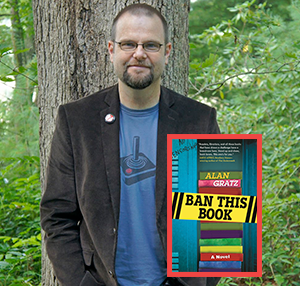 Gratz’ new book Ban This Book follows a fourth grader who fights back when a book is challenged by a well-meaning parent and taken off the shelves of her school library. Amy Anne and her lieutenants start a secret banned books locker library, make up ridiculous reasons to ban every single book in the library, and take a stand against censorship. In addition to his public event, Mr. Gratz is offering a writing workshop for teens. 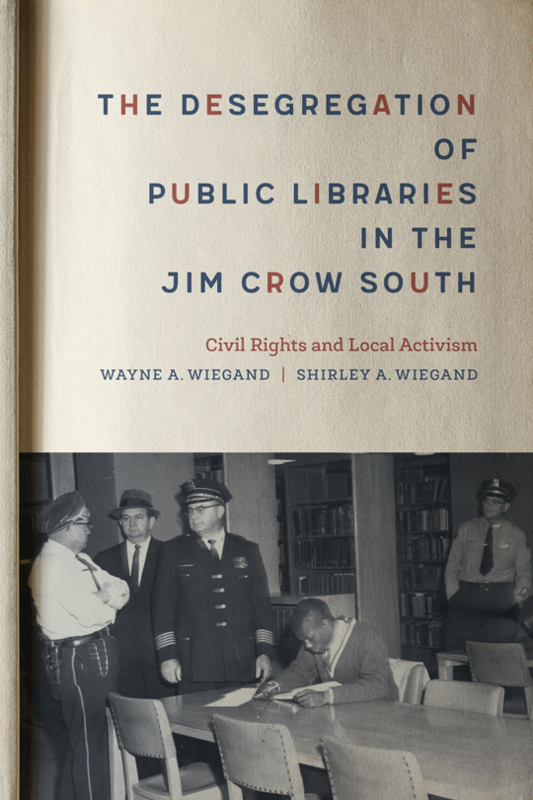 - Wayne Wiegand and his wife Shirley are the authors of the new book, The Desegregation of Public Libraries in the Jim Crow South: Civil Rights and Local Activism. The Wiegands trace the struggle for equal access to the years before the Supreme Court’s Brown v. Board of Education decision, when black activists in the South focused their efforts on equalizing accommodations, rather than on the more daunting―and dangerous―task of undoing segregation. 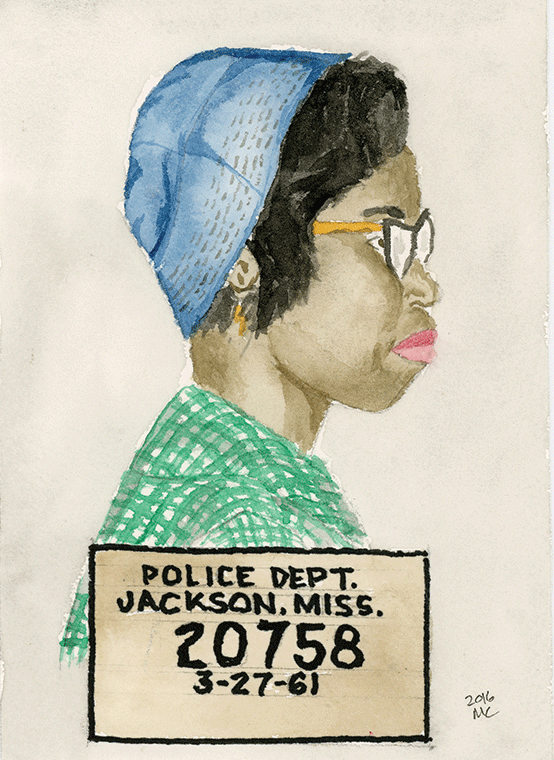 Readers in Chapel Hill may be familiar with some of this historical era; in Chapel Hill Public Library's Banned Books Trading Cards project, artist Michael Crowell submitted a rendition of the mugshot for Geraldine Hollis, taken after she was arrested for attempting to integrate the library in Tougalou, Mississippi. Co-sponsored by the UNC School of Library and Information Science. Flyleaf will have copies of the book available for sale. 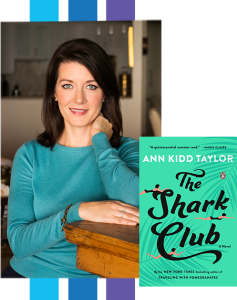 - The Shark Club is a love story, an environmental mystery, and an exploration of kinship with the sea and the sharks that inhabit it. Above all. it chronicles a contemporary woman’s struggle to reconcile her yearnings for love, family, and security with her ambition and hunger for adventure. - Chapel Hill Garden Club presents a visit from Brie Arthur, author of The Foodscape Revolution. Brie has fine-tuned Foodscaping, which makes space for both food and beauty in a garden. She invites everyone to "think outside the box," and will show you how to include edibles in your ornamental landscape. 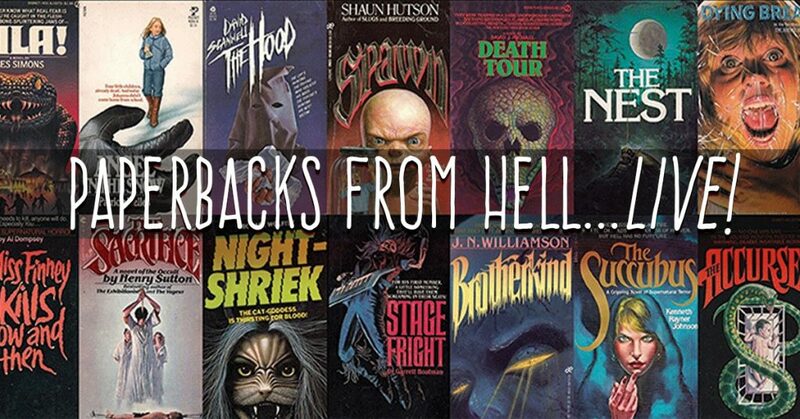 Paperbacks From Hell - LIVE! "One of the best shows I've been to in years. Still not even sure what it was. Tried to describe it to a friend as a 120 min. Tour de force one man show about reading 400 trashy paperbacks to write a book about 400 trashy paperbacks. Cabaret theatrical historical PowerPoint (from Hell). I laughed. I cried. I hurled. BRAVO." In the early Seventies, three books changed horror forever: ROSEMARY'S BABY, THE EXORCIST, and THE OTHER. The first horror novels to hit bestseller lists since 1940, they opened the floodgates for an avalanche of horror paperbacks to pour onto supermarket shelves throughout the Seventies and Eighties until SILENCE OF THE LAMBS slit the genre's throat in the early Nineties. Writer Grady Hendrix delivers a mind-melting oral history of this now forgotten world of Nazi leprechauns, skeleton doctors, killer crabs, killer jellyfish, killer babies, pretty much killer everything. Prepare yourself for a tour of this long-lost universe of terror ...the Paperbacks from Hell!!!! This event is free and for an audience age +18. Please note: This will be at Local 506 on Franklin St. Use the website Park on the Hill to find all the places to park nearby. 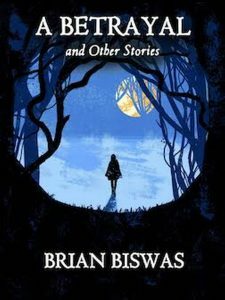 - Brian Biswas has published over sixty short stories both in the U.S. and internationally. He has been nominated for a Pushcart Prize, anthologized in the Irreal Reader, had stories read on Australian Public Radio, and translated into Vietnamese. He is listed in the International Writers and Authors Who's Who, Marquis Who's Who, and the Internet Speculative Fiction Database. A Betrayal & Other Stories is his first book, a collection spanning nearly thirty years. Brian writes in a literary style known as magical realism which attempts to portray a slightly exaggerated but internally consistent view of reality. He also writes Gothic or neo-Gothic tales and straightforward science fiction, though often tinged with magical elements. Pen-and-ink illustrations complement each of these nineteen stories spanning the literary genres of magical realism, horror, and science fiction. In the title story, “A Betrayal,” a doctor travels into the countryside to help a young patient, only to deliver a diagnosis with which the girl’s family vehemently disagrees. The peculiar narrator of “Sedgefield’s Diary” recoils in horror when he discovers that the hourly diary he keeps has taken on a life of its own and now threatens his very existence. The bereaved wife in "The Lake of Flies" takes matters into her own hands when she learns the truth surrounding her husband's death. In "Barnegat Inn," a strange visitation becomes the background for a poignant recitation on the nature of time. The themes of loss and betrayal between rival siblings are explored in "The Crystal," a story pulsating with an ethereal, otherworldly quality. And in "A Journey Through the Wormhole," a decades-old feud between rival scientists threatens to upend a scientific revolution. - Holly Black, the #1 New York Times bestselling author of contemporary fantasy novels for teens and children, will discuss her new novel The Wicked King. 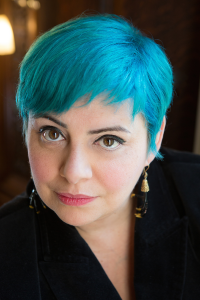 Joining her in conversation will be Renée Ahdieh, author of Young Adult Fantasy, best known for her New York Times best selling series The Wrath and the Dawn. Flyleaf Books will have copies of Black's books for sale at the event. She will sign and personalize all backlist titles, so long as 1 copy of THE WICKED KING has also been purchased.You can pre-order The Wicked King here. - EU Prize for Literature winner David Machado will be reading selections from his book The Shelf Life of Happiness. David Machado was born in Lisbon in 1978. He wrote four novels, including The Shelf Life of Happiness, which won the European Union Prize for Literature and the Salerno Libro d’Europa Prize and was adapted to cinema. He is also the author of ten children’s books, including A Noite dos Animais Inventados (Branquinho da Fonseca Prize) and O Tubarão na Banheira (SPA/RTP Author Prize), A Mala Assombrada, Eu Acredito, Uma Noite Caiu Uma Estrela, and of the children’s novel Não Te Afastes. His books have been translated into twelve languages. A public reception will be held at 5:30. The public reading will begin at 6pm. - Anyone interested in American slavery, African American history and culture, and the slave narratives on which African American literature is founded will find this topic intriguing. 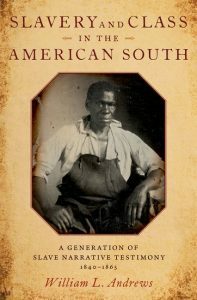 Andrews book SLAVERY AND CLASS IN THE AMERICAN SOUTH: A GENERATION OF SLAVE NARRATIVE TESTIMONY scours over 60 slave narratives, not only the famous ones but the many that are barely studied, to examine a topic seldom discussed -- how social and economic distinctions developed and functioned among the enslaved of the South. William L. Andrews is E. Maynard Adams Professor of English at the University of North Carolina at Chapel Hill and author or editor of forty books, including North Carolina Slave Narratives: The Lives of Moses Roper, Lunsford Lane, Moses Grandy, and Thomas H. Jones. Flyleaf Books will have copies of Andrews' books available for purchase.